Director/Screenplay – Ti West, Producers – Derek Curl, Larry Fessenden, Peter Phok & Ti West, Photography – Eliot Rockett, Music – Jeff Grace, Visual Effects Supervisor – John Louglin, Makeup Effects – Brian Spears, Production Design – Jade Healy. Production Company – Glass Eye Pix. It is the last weekend before the Yankee Pedlar Inn closes its doors for good. Only two of the hotel’s rooms are occupied, one of the guests being former tv star Leane Rease-Jones. The two desk clerks, Claire and Luke, have moved in for the weekend and are determined to take the opportunity to record evidence of the ghosts that are rumoured to be in the hotel to post on Luke’s paranormal investigator website. Through her attempts, Claire believes that she is establishing contact with the ghost of Madeline O’Malley who died a horrible death in the cellar years ago. In the last few years, Glass Eye Pix, headed by director/actor Larry Fessenden, have been making impressive in-roads as an independent production company with films such as The Off Season (2004), Zombie Honeymoon (2004), Automatons (2006), I Can See You (2008), I Sell the Dead (2008), Satan Hates You (2009), Bitter Feast (2010), Stake Land (2010), Hypothermia (2011), Late Phases (2014), Darling (2015), Most Beautiful Island (2017), Psychopaths (2017) and The Ranger (2018). One of the more promising names to rise through the Glass Eye ranks has been Ti West who has made for them films such as The Roost (2005), Trigger Man (2007) and the acclaimed The House of the Devil (2009), as well as Cabin Fever 2: Spring Fever (2009) for other producers. Subsequent to this, West went onto make The Sacrament (2013) and the Western In a Valley of Violence (2016), as well as the Second Honeymoon episode of the anthology of Found Footage horror tales V/H/S (2012) and the M is for Miscarriage segment of The ABCs of Death (2012). The Innkeepers emerged with a great deal of buzz on the genre festival rounds and has been the most widely praised of Glass Eye Pix’s films so far. Like The House of the Devil, The Innkeepers is a film where Ti West takes a far slower, more naturalistic pace than we are used to seeing in a modern horror film – he seems to delight in filling his films with the dull minutiae of his characters’ lives. We see (and indeed feel) the boredom of Sara Paxton and Pat Healy in their desk duty at an empty hotel, watch the things they do to fill the lack of happening. The dialogue has a cleverness and modern hip irony that sits well. Ti West shows an ability to tersely depict his characters – just the cut from barista Lena Dunham launching in to ask Sara Paxton about her relationship to Paxton returning to Pat Healy empty-handed, saying of the cup of coffee she went to get “they ran out” where we are not sure whether she is referring to coffee or her exiting the store. Or the way that Kelly McGillis asks Sara Paxton “What do you do?” and her small “oh” that cuts through Paxton like a knife. The first half of The Innkeepers is a slow accumulation of mood. When it comes to Sara Paxton wandering about using the EVP equipment, the almost audible whispers on the soundtrack and then the sudden jangling of piano keys shatters the slowness with abrupt effect. It is only around the 50 minute mark that West produces a more traditional shock in having Sara Paxton wake up in bed to find a corpse next to her – and even that feels gimmicky and forced in an otherwise low key film. There is an intensely spooky scene with Sara Paxton and Pat Healy down in the cellar calling up the spirit of Madeline O’Malley, although notedly this is a scene where Ti West conjures something acutely atmospheric without ever showing anything – all that we get are ambiguous hints such as whispers on the threshold of periphery, the peaking of the EVP monitor and then Sara Paxton abruptly telling Pat Healy “she’s right behind you,” even though we never get to see if anything is there or not. The Innkeepers is, like The Innocents (1961), for once a ghost story where everything rests in ambiguities and a refusal to say whether things exist outside the characters’ imaginations – something that is never even fully resolved by the ending. 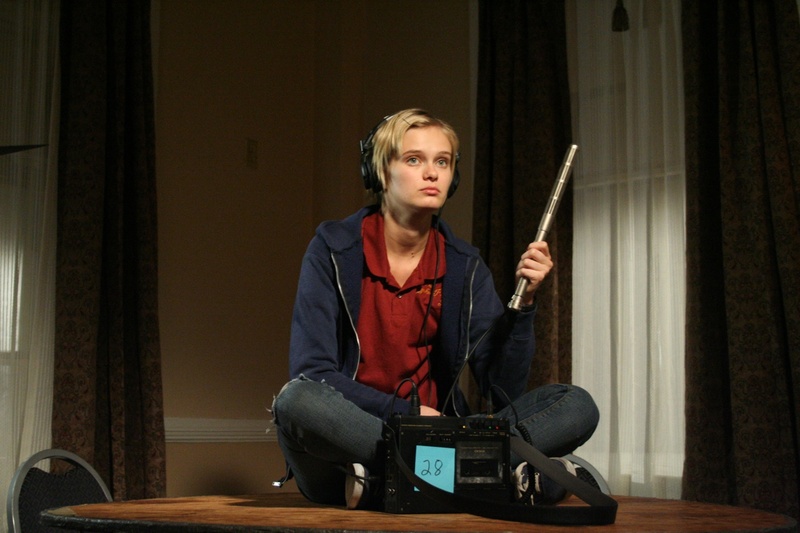 The Innkeepers gives opportunity for 23 year-old Sara Paxton to show what she is capable of doing. After moving out of various teen roles, Paxton was stuck in generic blonde roles in films such as The Last House on the Left (2009) and Shark Night 3-D (2011). Here she gets a role where she is allowed to play an ordinary girl and does rather well in her balance of happy-go-lucky cheerful and vulnerable. The other actress that Glass Eye Pix have give a second chance to has been Kelly McGillis who was once a bombshell name after appearing opposite Tom Cruise in Top Gun (1986) but by the mid 1990s had dropped away to tv movies and supporting bit parts, largely due to a decision to place her career on the backburner and raise children. In Stake Land and a more substantial role here, McGillis returns appearing her real age and shows she is becoming Glass Eye’s quietly understated ace. 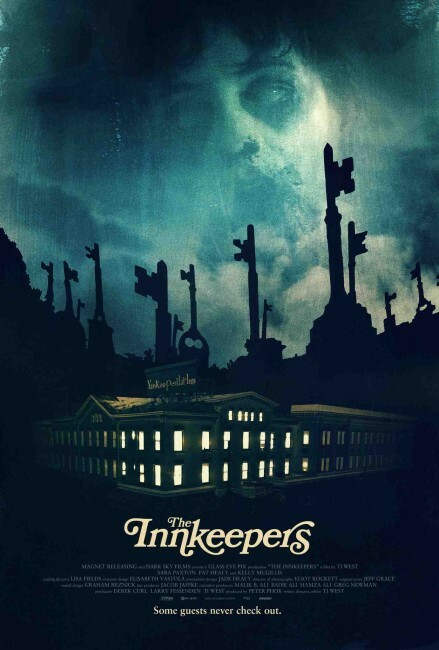 When The Innkeepers was released, Ti West took the unusual step of releasing a statement and asking people not to download the film and give it a chance in theatres and/or cable so that he can have the opportunity to make more films. West’s statement can be found here at the Glass Eye Pix website. To Ti West’s credit, many downloaders appear to have taken his plea to heart – there are surprisingly few leechers for the film out there. I did download the film to which I offer justification that it did not play theatrically in my area, where I would gladly have paid to see it, nor did Glass Eye Pix or the distributors see fit to forward me a screener copy. Secondly, in writing this, I am hopefully persuading more people the opportunity to see the film with my recommendations than would normally have had the opportunity to do so. I can support Ti West’s comments but equally from a user’s standpoint they seem disingenuous. For example, would not the maker of almost any independent film make the same claims? – that you should pay money for their film rather than seeing it for free because they think it is worth something. Alas, I can say from the standpoint of someone who watches a vast degree of independent films that the majority of these are not worth their audience’s time. If you extend that thinking to all films then you end up with a depleted pocket book but at least the moral satisfaction of having allowed some relative unknowns the clout to make some more films. The rate at which downloaders dent the potential of commercial films is debatable and something that more in-depth studies have shown is not hurting their chances quite as much as the recording industry claims it is. Downloading and legal copyright needs to find a happier medium between the two. Furthermore, as a non-America, Ti West’s appeal to keeping it American-made and supporting American business instantly switches me off. This is protectionism by any other name – the appeal should be made based on the quality of product, not where it was made whereupon it simply becomes one of patriotism. To all of this I would add that The Innkeepers is something I consider a worthwhile film that taking the time to acquire legitimately would not be money wasted.